Nowadays, it feels rare to buy a video game that doesn't offer you the option of supersizing it. Bundles come with season passes, statues, and assorted wearables. Sometimes there are Loot Crates, and Bethesda even offered a specialty beer and Nuka Cola leading up to the release of Fallout 4. Just as often, video games inspire other forms of media, be it film, comic, or art. This gallery is specifically dedicated to 8 video games that have jumped from screen to table - 8 board games inspired by video games. Did we miss your favorite? Let us know in the comments! 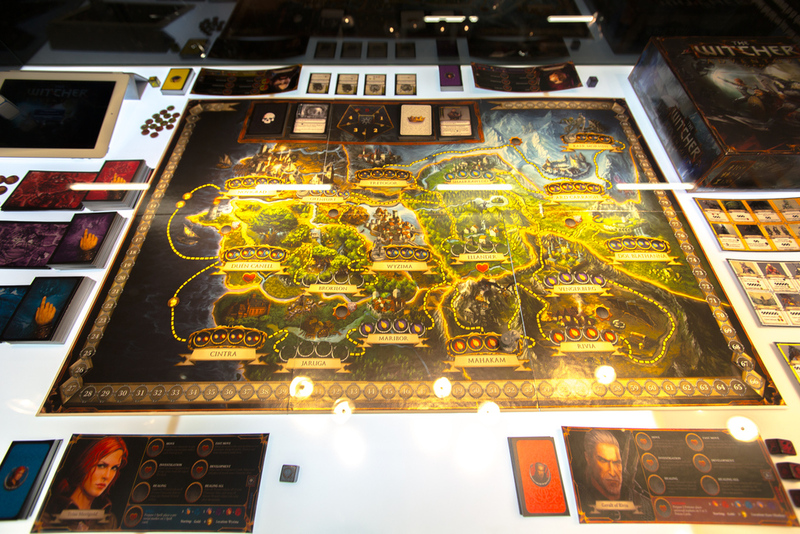 The Witcher Adventure Game is a board game that was inspired by a video game that was inspired by a book series. Funny enough, it also inspired a new video game, based off the board game, which was inspired by the video game, which was... you get it. In The Witcher Adventure Game, you assume the role of one of four players - Geralt of Rivia, Triss Merigold, Yarpen Zigrin, or Dandelion - each with their own unique set of skills, a variety of quests, character development, and the choice to help your friends or help yourself.